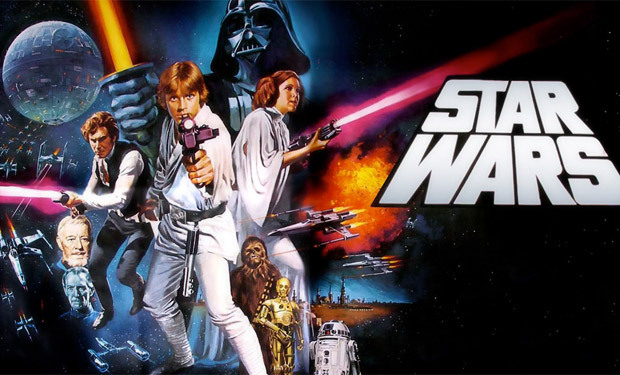 As part of the Star Wars week celebrations, I’ll be sorting and typing the major characters of the original trilogy! For those of you unfamiliar with Hogwarts House sorting, people are sorted into four different categories, labeled Gryffindor, Hufflepuff, Ravenclaw, and Slytherin. Gryffindor is for people who are bold, brave, and adventurous but also sometimes hot-headed, hasty, show-offy, and prone to black and white thinking. Hufflepuff is for the quiet, patient folks who may not be as powerful-looking as the other houses, but they are also known for their loyalty and hard work, and they are excellent finders. Ravenclaw is for the intelligent, the witty, the unique out-of-the box thinkers, and the well-read; but it is also known for its pedantry, self-absorption, and competition between housemates. Slytherin is known for its villains, schemers, and people who believe the ends excuse the means, but it is also famous for ambition, resourcefulness, power, and loyalty between housemates. For those of you unfamiliar with MBTI personality typing, people are typed based on where they fit on their preference of the letters (I or E, S or N, F or T, P or J), as well as which cognitive functions they use most (Se, Si, Ne, Ni, Te, Ti, Fe, and Fi), and in what ways they use these functions in terms of what’s known as “the cognitive stack” (primary, auxiliary, tertiary, and inferior positions). With the letters, I/E refers to introversion or extroversion, S/N refers to relying more on senses and established conventions vs. personal intuition and analysis, F/T refers to viewing the world emotionally and spiritually vs. technically and practically, and P/J refers to a preference for freedom and spontaneity vs. structure and organization. With the cognitive functions, Se = a focus on strength and physical senses, Si = a devotion to tradition and established rules, Ne = an analytical function focused on expansion and possibilities, Ni = a deep subconscious connection to the universe around us, Te = a tendency toward taking charge and directing others, Ti = a devotion to objective facts and logic, Fe = a desire to please or protect others, and Fi = a devotion to ideals and subjective feelings. With the cognitive stack, the dominant and auxiliary functions are the ones the person uses most (like the pilot and co-pilot of the brain), the tertiary function is a function a person will often use as a tool but not to the same extent as the dom/aux functions, and the inferior function is the person’s Achilles heel – a function the person uses, but not particularly well. All of these aspects come together to determine which of the sixteen types a person is. Let the typing and sorting begin! Luke Skywalker is an ENFJ, which means his two main functions are Fe and Ni. Fe drives everything he does, from his journey to save the universe to his desire to save his father. The Force is portrayed in the Star Wars films as a very Ni-ish supernatural ability, so Luke’s ease in learning to master the force is testament to his strong Ni. His tertiary function is Se, demonstrated by his good fighting skills, as well as his tendency to judge some people prematurely based on how they look – such as his assumptions that Yoda was too weak to be a Jedi master, that R2D2 was too small to escape, that Han couldn’t be trusted, and that Leia, a stranger to him, was worth risking his life for simply because she was attractive to him. Luke’s inferior function is Ti. This is demonstrated by the fact that, on one hand, he has a strong interest in technical activities like studying and piloting ships; while, on the other hand, objective facts and logic are a weakness for him, as he often comes to incorrect conclusions about many situations. Because he’s an extrovert, Luke grows restless living in the lonely desert of Tatooine. And as a J, as Yoda points out, his mind is always looking toward the future, never where he is now. I have sorted Luke into Gryffindor based on his love of adventure, his occasional recklessness, and his yearning to prove himself a hero. Like Luke, Obi-Wan’s two main functions are Ni and Fe, giving him a strong grasp of the force and desire to help other people. 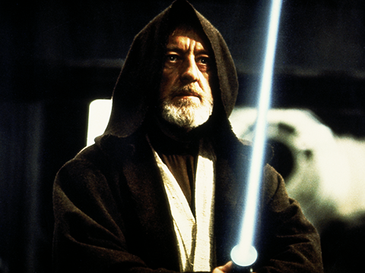 But unlike the extroverted Luke who can’t stand the isolated life on Tatooine, Obi-Wan’s introversion allows him to live as a hermit with no trouble at all, making him an INFJ. Because his main focus is on wisdom and serving as a mentor, passing down knowledge to others, I have sorted him into Ravenclaw. 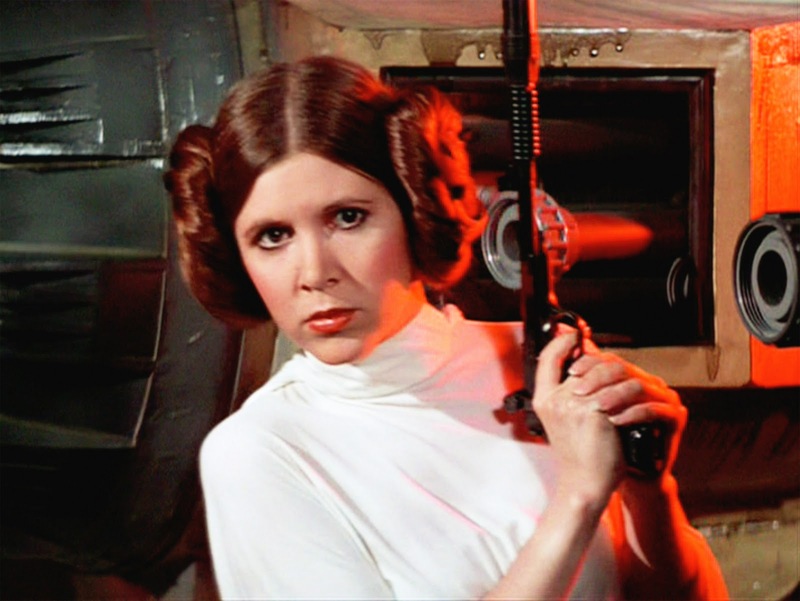 As an ESTJ, Leia’s two main functions are Te, the directing function, and Si, the traditional function. She is a very no-nonsense person who knows exactly what needs to be done and will ensure the people around her get it done. She is extremely loyal to her friends and the people of her home planet. And as a politician, she works hard and patiently to ensure the universe will one day be safe from the rule of the empire. Therefore, I have sorted her into Hufflepuff. As an ISTP, Han Solo’s primary function is Ti. He doesn’t like to believe in anything without proof, which is why he’s a great skeptic of the Force. His secondary Se gives him the charisma to create his charming rogue persona. And his tertiary Ni allows him to almost magically know things by instinct – which is how he had the foresight to *ahem* shoot Greedo first. Since Fe is his inferior function, it takes some time and soul-searching to realize just how much he cares for other people. Han Solo places great emphasis on his own abilities as a hero when he wants to be one, which is why I’ve sorted him into Gryffindor. Lando is very similar to his old friend Han in cognitive functions. But as an extrovert, he places a lot more emphasis on his looks and charisma to charm people into liking him and doing as he wishes. Because he, like Han, places emphasis on his abilities, I’ve sorted him into Gryffindor. Because of his primary Ne, Chewie is optimistic and open to new experiences. Because of his auxiliary Fi, he will sometimes put his own feelings before others, such as when he scares the droids into letting him win the game of dejarik. I’ve sorted him into Gryffindor due to his adventurous spirit. His two main functions being Ti and Ne, C-3PO is very analytical and values objective facts above all else. Because his inferior function is Fe, he doesn’t always understand how to deal with people, or recognize the appropriate way to express his own emotion toward others. His value of facts and intelligence led me to sort him into Ravenclaw. Yoda was the most difficult to type because, at first glance, his most frequently used functions appear to be Ni, Fi, and Si – three functions that never all appear together in the same primary stack. Ultimately, I decided to go with INFP, as his devotion to ideals trumps his desire to save other people, handing the victory to Fi. And despite his talent in using the force after years of practice, he seems to prefer Ne over Ni, keeping the future open to possibilities rather than pinning it down to what is most likely. Because of his tertiary Si, he places great importance on honoring Jedi codes. Even his way of speaking, it’s been said in interviews with cast and crew behind the scenes, stems from his attachment to tradition. Due to his focus on knowledge, wisdom, and self reflection, I have sorted him into Ravenclaw. Darth Vader is one of the most powerful Force-users in existence – which makes sense considering he’s been blessed with both Ni and Fi. 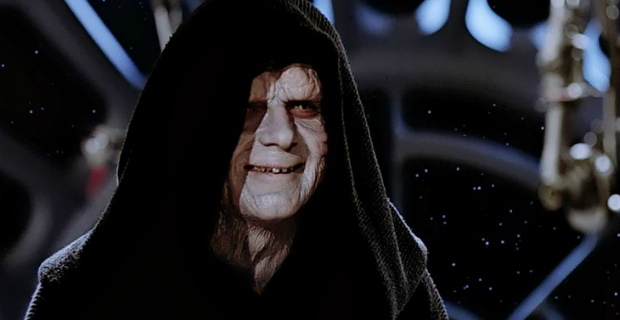 With a natural connection to the universe around him as well as his own feelings, mastering the Force would be like second nature to him. As an introvert, he prefers to spend most of his time alone. But as a strong Te-user, he will still take it upon himself to venture out to ensure all plans are running smoothly. Vader has all the trademarks of a Gryffindor gone bad. His black and white thinking leads him to kill anyone who disappoints him in the slightest. His heroism is what originally led him to the dark side. It is also what eventually leads him back to the light. 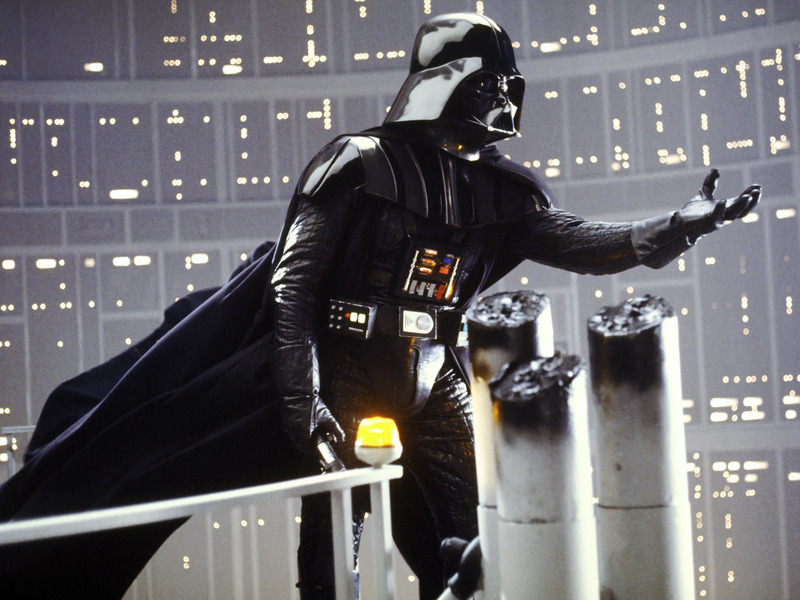 As an INTJ just like Vader, the Emperor has a natural mastery of the Force, a penchant for solitude, and a talent for overseeing plans. But unlike his more idealistic Gryffindor student, the Emperor takes pride in both his position and his clever schemes, always thirsting for more and more power. That is why I have placed him in Slytherin. What Houses and MBTI Types do you think the characters are? Let us know in the comments! First: I love everything about this post. I love that there were sorting that surprised me BUT it makes sense. I love that Vader ISN'T Slytherin just bc he's "the dark side." I'm so glad he's Gryffindor. I'm also glad Leia is Hufflepuff but is still able to be brave and strong. YES!!!! Second: I am Obi-Wan Kenobi. Yeaaaaahhhh!!! I love it. Good. This is goood. Thank you for everything you do. I've loved reading every post you wrote this week.